Being the last E3 where Final Fantasy XV will be shown, Square Enix is making sure that players get as excited as possible for their upcoming role playing game. Following a few events, Director Hajime Tabata took part in a Q&A session where he addressed some of the most discussed Final Fantasy XV matters, such as resolution, frame rate and DLC plans. One of the questions that have been asked during this Final Fantasy XV Q&A session, transcribed by Gematsu asked about a stable frame rate and anti-aliasing for the final release. Hajime Tabata is not able to give a definite answer at the moment, obviously, but he did talk about the specifics of the E3 2016 demo for both PS4 and Xbox One, confirming the dynamic resolution ranges and frame rates. 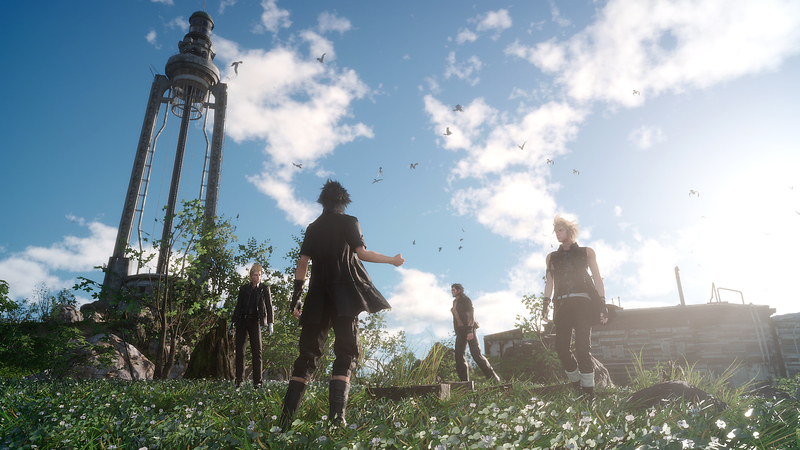 At the end, Hajime Tabata confirmed that they’re still working for the frame rate of the final version, so what we have seen during the E3 2016 is not exactly representative of the final release. Will we see a stable frame rate and anti-aliasing improvement in the final game? What kind of optimization is being carried out to maximize visual quality while preventing frame rate dips? It’s hard to give a definitive answer about the final version now since we are constantly optimizing, but we can tell you the specs of the E3 demo. There’s a slight difference with Xbox One and PS4. For the Xbox One E3 demo, dynamic resolution ranges between 800p to 900p, usually closer to the 900p range, and at a constant 30 frames per second. So it is performing at a more stable and higher level than Episode Duscae and the Platinum Demo. There are times when it still dips, and that’s usually when you call on your ally commands, like when you call on Ignis to mark an enemy it dips to 26 to 27 frames, but it won’t deter from the experience. But since we’re able to achieve this for the E3 demo, we have a positive outlook on the final version of the game. For the PlayStation 4 E3 demo, it’s a dynamic range between 900p and 1080p. Most of the time, it’s about 1080p at a constant 30 frames per second. Sometimes, it will, just like Xbox One, dip a little bit when the GPU can’t process what’s happening on the screen so quickly, but it’s mostly 30 frames. But we will continue to fine tune and optimize the game for as much time as we can. Don’t worry about the frame rate for the final version, we’re working on it. As far as anti-aliasing goes, there’s a lot of processing for constant anti-aliasing, so we implement it every few frames as not to overload the processing. Hajime Tabata has also been asked about Final Fantasy XV post launch content. The team is currently in a state where they have finalized their DLC plans, which will include additional story content, costumes and some other things that they cannot talk about right now. Are there are any plans for downloadable content? I’m curious about additional story content and costumes. It’s probably because we announced the release date already, but during E3 we got so many questions about DLC. We’re in a state where we’ve pretty much finalized our DLC plans, and our concept for all of our DLC is to make sure that fans who bought the game and played it feel like they’ve made a great purchase. Looking at the DLC plan, there is a lot of stuff I myself am excited to play and give to fans, but right now isn’t the right moment to release those details. There will be additional story content, costumes, as well as things that don’t fall into those categories that fans will be excited to see. I know we’ve showcased some of our PlayStation VR demos this E3, and those are some things we’re planning to implement and provide as DLC experiences. But obviously, we’re working towards getting this game out on September 30, so most of the priorities are on the main game. Only specific core members are working on the DLC right now. Final Fantasy XV launches this September on PS4 and Xbox One.